Science has confirmed that all of humanity, from the Australopithecus to the Homo Sapiens (that is the modern humans in existence all over the world) undoubtedly came out of Africa. In other words, the first humans on earth were black, specifically African. Thanks to science, it is now accepted that the different human varieties (white, Asian, etc …) all proceeded from the black man and that their existence is due to the latter stepping out of the African space. So what has the black man done in Africa before stepping out of it? Did he spend his days or millennia swinging from lianas to lianas? Playing? Eating? Or sleeping? Or even copulating left and right? To these questions many people are struggling to find the answers because they are victims of misinformation and brainwashing orchestrated by the West, who sought by all means to deny the historical past of Africa, thus laying the shame on African people and all people of African descent throughout the world. But if the African man had actually done nothing, how could he have lived, eaten, healed himself from diseases, etc … since the beginning of time until now? If it is recognized by all that Africa is the cradle of humanity, it is thus logical and indisputable that Africa is the cradle of the earliest forms of civilizations. The views according to which Africans are inferior beings, rudimentary and wild, having brought nothing to mankind, or that they have not made history enough, only come from ignorance, sometimes conscious, and from the purest ideology. So these are just lame, false, negrophobe, and racist views, devoid of any meaning, without scientific basis and without hard evidence, thus of no interest for science, research and for the historical and factual truth. In order to survive and make a decent living, Man since appearing in Africa had to face many challenges, such as understanding his environment, getting to master it, organizing himself against the dangers which he could be the victim of, living with all the difficulties all this entails. For this end it was necessary to tame animals, hunt for food, master fire, build a house, know remedies to heal sickness or health problems, etc. 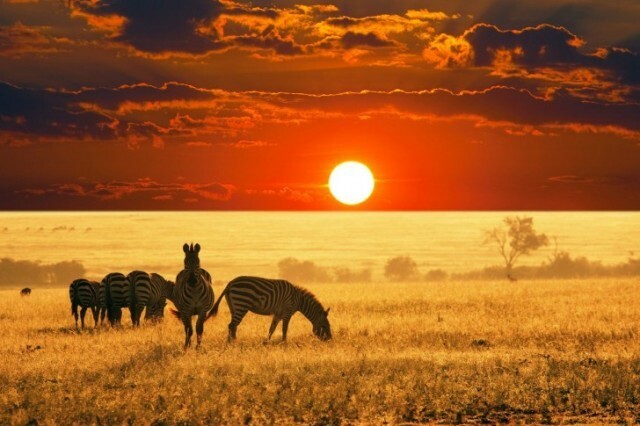 His survival depended on it, especially because of the luxuriant African nature and the wild animals already in existence since very early times. This means that he had to quickly do research and discoveries in order to solve his everyday practical problems. During this period when man was not yet out of Africa the rest of the earth was empty of modern people. The first human reflections, thoughts and forms of human organizations … in other words, the first forms of human societies and civilization came from Africa. 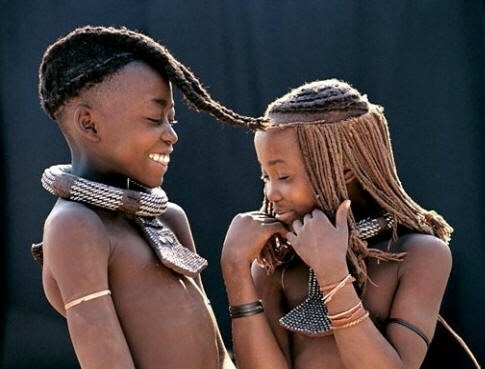 Knowing that other phenotypes were born thanks to the first men stepping out of their african space, it is logical to say that as long as man had not come out of Africa, the first facts of civilization were first in Africa and nowhere else, which could not have been otherwise. That is why the first and oldest recorded facts of civilization in our solar system come from Africa. When this man would come out of Africa, he would take his knowledge with him and try to recreate his environment based on his acquired knowledge and discoveries in Africa. This is what would make the first facts of prehistoric and historic civilizations on other continents appear later. Therefore no prehistoric industry found outside of Africa is older than the industries found in Africa. This is purely due to the fact that the first humans when coming out of Africa were faced with various other environmental and climatic conditions of those in Africa. These humans thus had to adapt, get used to, and find ways to live in their new environment. Those who remained in Africa were well adapted to their environment, since they were aware of their environment. The question of adaptation was therefore not an issue for those who remained in Africa. That is why Africa has developed all elements of civilization before all other continents. Indeed, since the time of australopithecus, man had continuously been searching, discovering, inventing, etc … and this uninterrupted chain of inventions, discoveries and improvements that had begun at the dawn of time with the australopithecus continued until the time of homo sapiens (modern man). Therefore man did not wait to get out of Africa to give the full measure of his talent or intelligence. 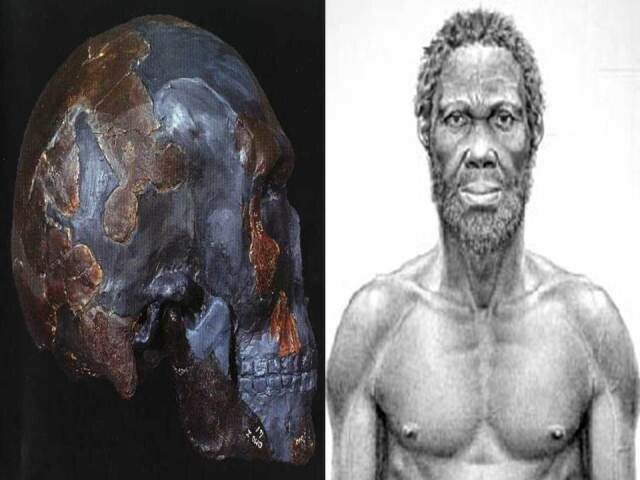 In this article, we will put aside the discoveries of ancient prehistoric men (Australopithecus, Homo habilis, Homo erectus, etc ..), to focus on technological innovation and oldest facts of civilization of the oldest modern humans (Homo sapiens) who emerged in Africa 200,000 years ago. The oldest signs of elaborate behavior of modern humans come from Africa. 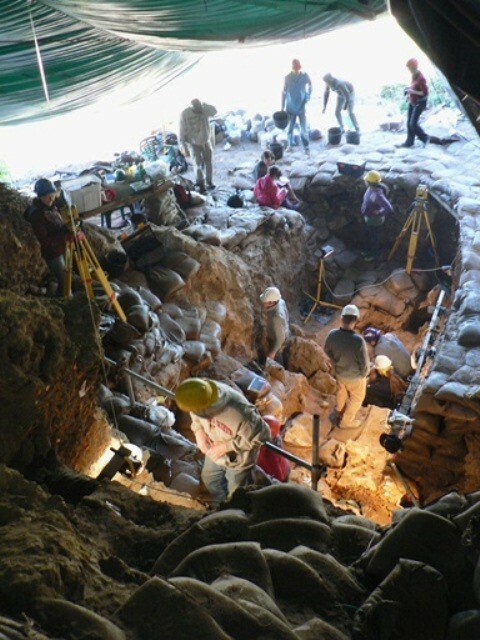 Professor W. Curtis Marean and his team discovered in 2007, in a series of prehistoric caves at the Pinnacle Point site, near Mossel Bay in South Africa, shells and other artifacts dating from -164 0000 to -174 000 years. According to studies made on the basis of the findings, the Pinnacle Point men were already fishing at the time. They collected their shells on the coast at about 5 or 10 km from the cave to return and eat them inside the caves. As for the 57 hematite stones collected in the cave, some of them were probably used to paint their bodies, confirming the level of evolution of these modern men. They were already making forms of “aesthetic make-up” on their bodies. The ruins of the oldest traces of a modern city built by modern man, in all of mankind’s history, lie in Mpumalanga, in present day South Africa. The ruins resemble much to the architectural style to be found later at the ruins of the great Zimbabwe (Kingdom of Monomotapa). The ruins of this city are said to date back to about 150 000 to 200 000 years. 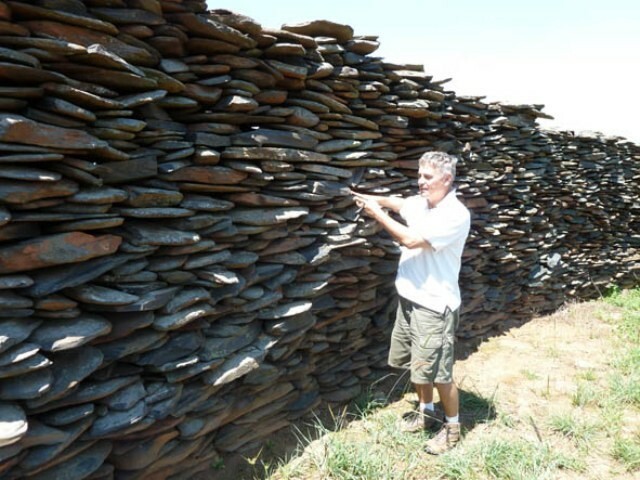 The astronomer Bill Hollenbach puts the age of the site (the Mpumalanga ruins) to 150 000 years. J. Heine and Mr. Tellinger believe that the site is at least 75 000 years old. These dates still need confirmation. These information show that the African man had already been living in cities for millennia. These information show that the African man of those times, had already set up the stone architecture and had already been working the stone. On one of the walls of the Mpumalanga site (present day South Africa), is the oldest known representation of the Ankh Cross and the solar symbol in history. But these symbols (Ankh cross and solar symbol) are symbols of spirituality; spirituality that we would find several millennia later in the Nile Valley and the famous Pharaonic civilization. These symbols of spirituality show that spirituality was already known by African people since those times. 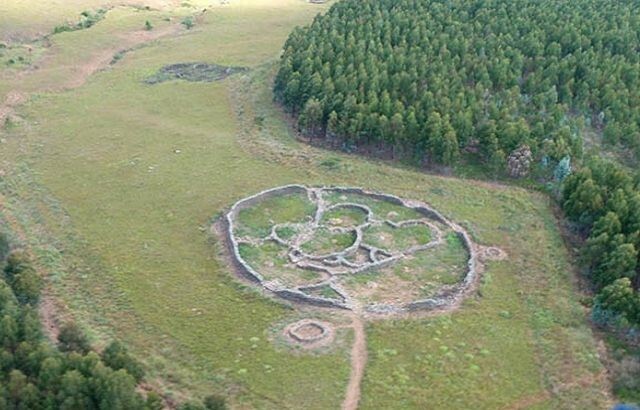 Aerial view on another of the twelve remains of such constructions found in Mpumalanga (image at the top). On the image at the bottom, is certainly the oldest representation in history of the Ankh Cross and solar symbol. These are symbols found later in the prestigious Pharaonic civilization. 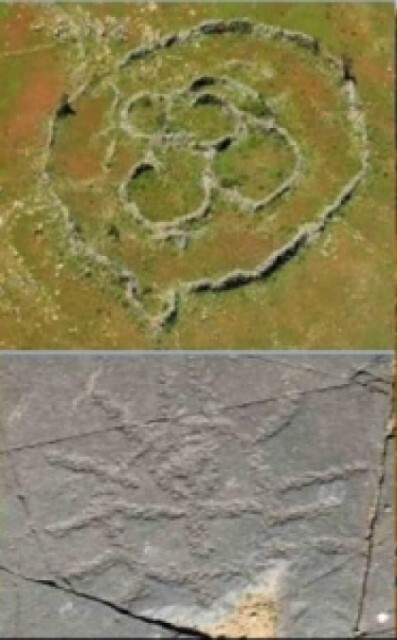 Some researchers also suggest the presence on this site of megalithic stones lifted and oriented with respect to the movements of the stars, already evoking the possibility of the existence of an astronomical calendar on the site, calendar these researchers call “Adam’s Calendar” because of its seniority. Research has put the beginnings of parietal art with graphics in Africa, specifically with the discovery on the site of Blombos (Blombos Cave) in South Africa of the first remains, tools, raw rock paintings and drawings in various caves or on the rocks. 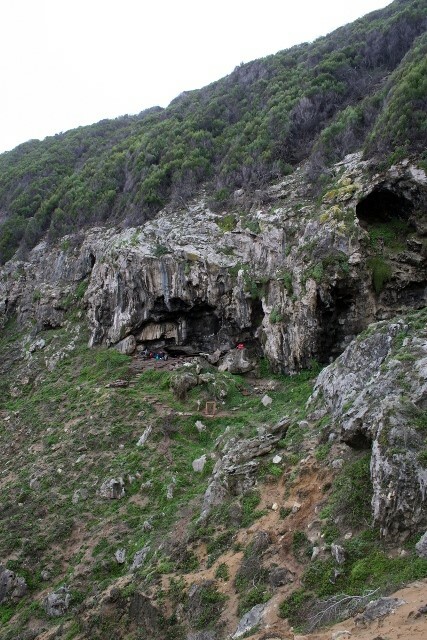 Thus the oldest man-made dyes used to make cave paintings and parietal art were found in this Blombos cave and are dated to about 100,000 years old. 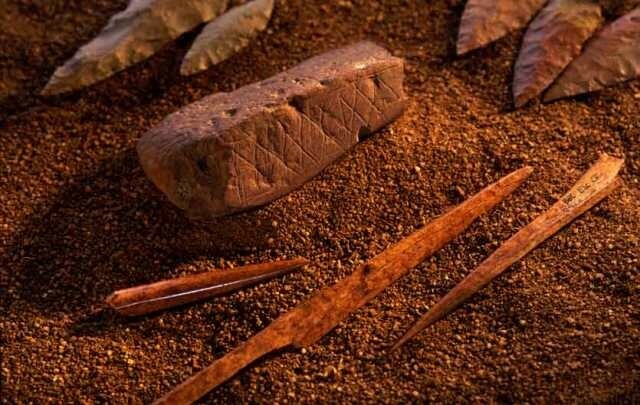 Graphics and drawings made of geometric shapes (triangles, etc ..) were also found in the Blombos cave and are the oldest known in the history of mankind. They are dated back to about 75,000 years before the present era (well before the Chauvet Cave in France for example). Similar findings were made in the Porcupine Cave in Ethiopia. The first modern humans (Homo sapiens) to have left Africa left Africa with clothes on. This is what reveals a study of three researchers, namely Ralf Kittler, Manfred Kayser and Mark Stoneking of the Max Planck Institute for Evolutionary Anthropology in Leipzig, Germany. They published an important article entitled Molecular Evolution of Pediculus humanus and Origin of Clothing: the molecular evolution of Pediculus humanus and the origin of the garment. These scientists studying the DNA of lice usually living on humans have determined the place and time of the appearance of the garment in the history of mankind. The research group has shown that there are two kinds of lice that specifically stay on man. They are head lice (Pediculus humanus capitis) and body lice (Pediculus humanus corporis). The head lice live and feed exclusively on the scalp while body lice feed on human body and live in clothes. The scientists show that the difference between head lice and body lice is done when men began to make and wear clothes. The results of this study on the varieties of African lice and non-African lice show the African origin of human lice. This origin would be dated back in Africa to around -72 000 ± 42,000 years before the present era. Scientists demonstrate this way that the African man is the first man to make and wear clothes. These scientists linking the invention of clothing and expansion of man on the planet show that this invention (the clothing) is one of the things that enabled man to survive (for example by covering) when he came out of Africa to populate the planet. 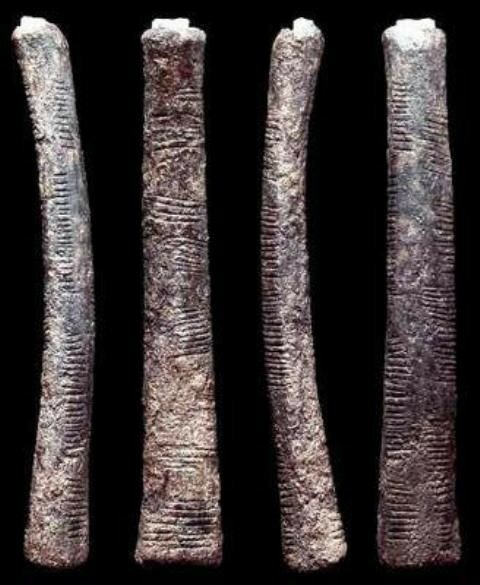 The discovery of a bone called Ishango Bone or Ishango stick by the Belgian archaeologist Jean de Heinzelin de Braucourt certainly confirmed that Africa is the cradle of mathematics. This archaeologist uncovered the long bone of 10.2 cm in 1950 at Lake Edward or Louta N’Zighé in the region of Ishango in present day Democratic Republic of Congo, near Uganda. This bone has notches and signs made voluntarily by men. The positioning of the notches enabled scientists to identify then again the first signs of calculations, thus the first signs of mathematical thinking in the history of mankind. 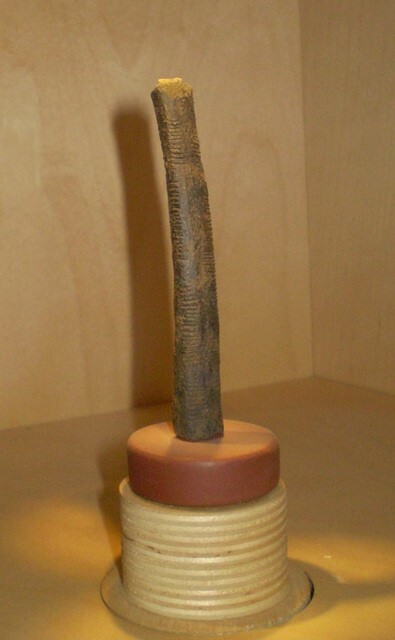 The Ishango bone is dated to about 25,000 years before the present era. This bone is preserved today at the Royal Institute of Natural Sciences of Belgium. The first certain trace of the existence and the mastery of agriculture comes from Nubia (Sudan). Thanks to the work of Professor Fred Wendorf, professor of anthropology at the University of Dallas (United States), it is admitted today that at least 14,000 years ago, the African man was the first to master agriculture and techniques. The same Professor Fred Wendorf shows us, through his works following his discoveries in 1973, the first urbanized cities, developed and well incorporated in the Nile Valley in the south, specifically in the area of Nabta Playa, west of Abu Simbel. These cities are dated back to at least 9000 years before the present era. That means at least 9,000 years ago, Africans had completed the process of delimitation, development and urbanization of towns, processes whose first drafts appeared with the Mpumalanga site (South Africa). 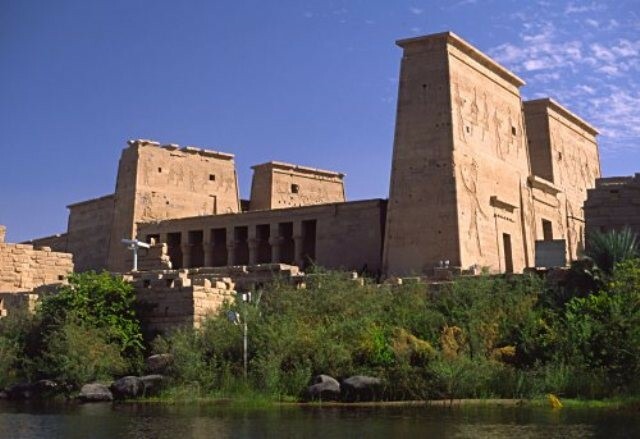 Since these highly urbanized cities being considered here were in the Nile Valley, and given the time that was taken to build them, it becomes clear that the civilization of the Nile Valley, and its dates (Pharaonic civilization), is much older than the official dates that are usually given. 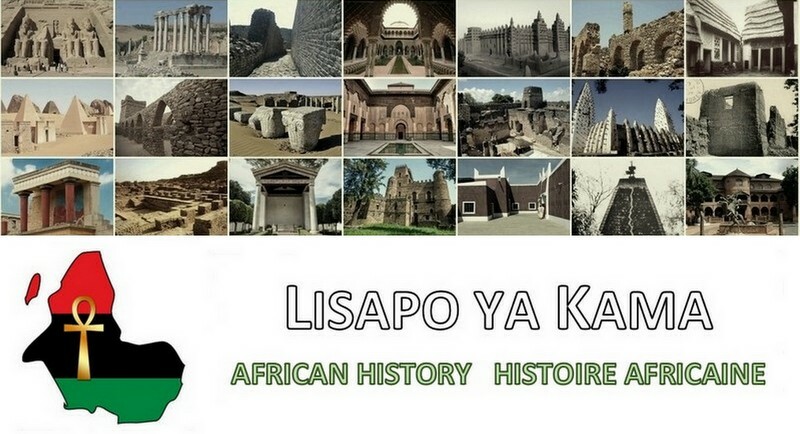 All this accumulated knowledge, developed and deepened over millennia, enabled Africa to have all the elements of civilization before other peoples and to be the first to make history and to build civilizations. Most scientists agree that history begins with the birth of writing. If this is the case, it is still Africa who was the first to go down in history as the first writing in the world comes from Africa and not from Mesopotamia, as shown by the German professor Gunther Dreyer in his works. 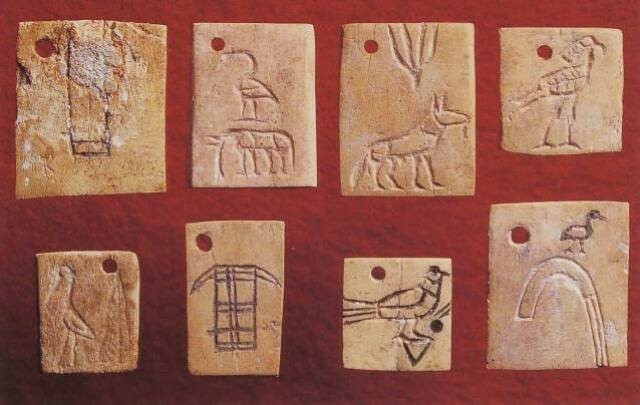 Professor Günter Dreyer conducted excavations 400 km south of Cairo (Egypt Current) in 1998, excavations that have shown that the first and oldest writing known in history comes from the Nile Valley and dates back to at least 3400 years BC. The professor says here that when writing had been attested in the Nile Valley, Mesopotamia was not even inhabited by the Sumerians (the first civilizers of Mesopotamia). All this information tells us that civilization and history did not begin with Europe, did not start with Asia, and did not begin with Mesopotamia and the Sumerians, for in all these regions (Europe, Asia, etc ..) there is no invention or no basic fact of civilization that is older and / or more ancient than the facts of civilization found in Africa. So to say, as do the falsifiers, that this or that started or appeared in Mesopotamia, it makes no sense, since before man went to populate Mesopotamia to go and create there this or that, he had been living in Africa already and it was in Africa that he had already been creating a lot of things and facts of civilizations. These scientific data proving that Africa is where civilization was born, is confirmed by many researchers and authors of antiquity. Take for example the case of Greek authors. These authors have left to posterity several writings that show they traveled the world and came to know several regions and peoples in antiquity. The African people with whom the Greeks came into contact with were mainly Nile Valley Africans (Egyptians, Pharaonic civilization, etc …). It was the important accumulated knowledge by the Africans since prehistory that allowed Africans to build the prestigious Pharaonic civilization. Let us first remember here that the word “Ethiopian” means burned face (so black face in Greek) and it was a word once used by the Greeks to refer to black people. The word Ethiopia had originally nothing to do with this country called Ethiopia nowadays. By Ethiopia, the ancient Greeks therefore designated the land of burnt faces, that is to say, Africa. The Greeks saying that “Ethiopians are the first of all men” were therefore saying that our continent is the cradle of humanity. Thus the culture and people of Egypt are from Ethiopia, that is to say our continent called Africa today. 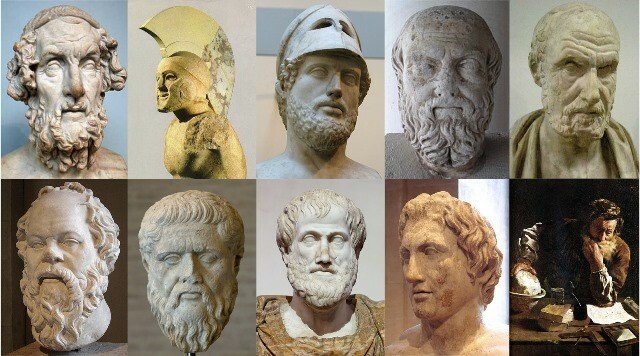 These writings left by Greek authors show that the Greeks, although they knew many people in antiquity, did not say that these people who were in Mesopotamia, etc … are at the origin of civilization. Greek writings insist that among all these people, it is the Africans (that they saw while visiting the Nile Valley) that are the first to have made or invented this or that, etc … and the Greeks do not use the term first by chance. If they say ‘first’, it was because they considered that Africans (from which came the Egyptians they saw), were the first to invent the elements of civilization (sculpture, writing, spirituality, calendar, science, etc ….) in all areas. 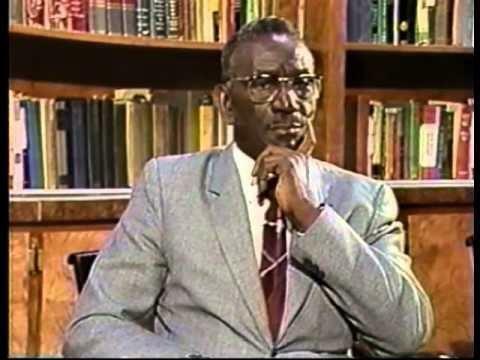 “In saying that these are the ancestors of the Negroes, who now live mainly in Black Africa, who were the first to invent mathematics, astronomy, calendar, general science, the arts, religion, agriculture, social organization, medicine, writing, engineering, architecture (…) by saying all this we are only saying the modest and plain truth, that nobody, at present, can refute with credible and worthy arguments.” Cheikh Anta Diop, Nations Nègres et Culture, p. 401, Presence Africaine. Before the birth and existence of civilization in Greece, Rome and Mesopotamia, etc … Africans were the first to invent the elements of civilization (sculpture, writing, spirituality, calendar, science, architecture, cities, etc. ….) in all areas. PS : according to the last scientific publications, modern Humans appeared around 300 000 years ago. “Early Use of Pressure Flaking on Lithic Artifacts at Blombos Cave, South Africa, Article paru dans la revue scientifique Science. Ankh, Revue d’Egyptologie et des Civilisations Africaines, Paris, Khepera, n°8/9, 1999-2000 ; Günter Dreyer,”Recent Discoveries at Abydos Cemetery U”, in The Nile Delta in Transition: 4th-3rd millenium B.C., Tel Aviv, E.C. M. Van Den Brink Editor, 1992, pp. 293-299 ; V. David and R. Friedman, Egypt, Londres, British Museum Press, 1998, pp. 35-38. Previous post: “Mwalimu” Julius Nyerere, in the name of the tradition!